Hi friends! I hope you’re doing well. If you follow me on Twitter, Facebook or Instagram, you know I’ve had a fever…a PUMPKIN fever that is. I ADORE fall, and I go nuts for fall scents, decor, food, drink and all the things. I mean, y’all, they make a pumpkin pie scented candle, which is like a childhood dream come true. Life is good. 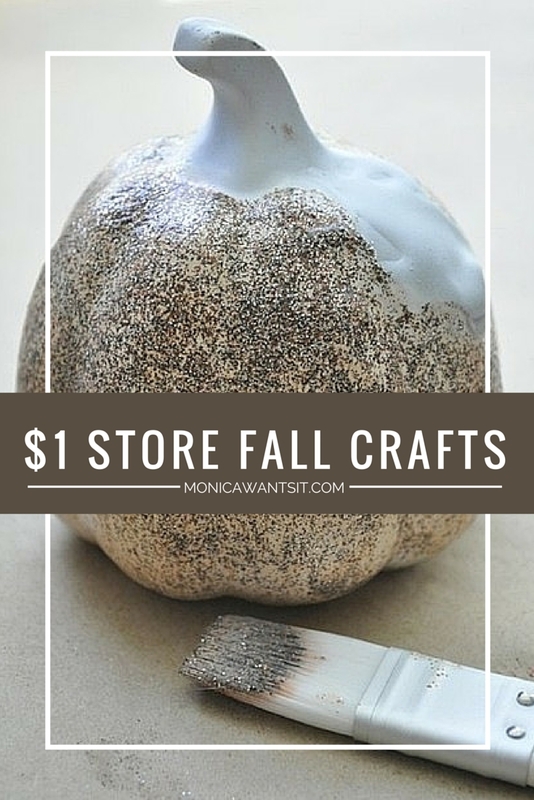 I have some great fall decor ideas and tutorials headed your way soon that fit into my coral, leopard, rustic glam vibe, but I wanted to highlight some of my older pumpkin/fall posts and tutorials to get you in the fall spirit. I think 90% of them involve those glorious pumpkins that are a whopping $1 at Dollar Tree, and guess what…they already have those suckers out! Go get them and get your craft on. I sort of cringe when I see these older photos, but hey…I’m like wine and get better at photography with age. Or something like that. Enjoy! Also, I’m finally making the switch to WordPress (I feel so fancy! ), so if my site is a little weird or anything, sorry in advance. I’m too cheap to pay a professional to migrate my 500 posts over (because hellooo, fall handbag season), so let’s cross our fingers this works out, k? I love your Fall pumpkin ideas. How fun to celeb every anniversary right at Halloween! I love Oct. as is a pretty month and birthday month too.I have fun at Halloween when my grandgirls are here and I go all the way. Hope you come by and visit and become a follower. Now I'm gonna follow you and become your friend.FABBYPS: Couldn't find your blog follow button. I'm not a Halloween enthusiast, but This decorations sure are cute. Ok, I need to go buy pumpkins, this looks like so much fun. Oh, I enjoy Halloween! We were married on Halloween & I decorate as a crazy lady! These pumpkins are gorgeous. Thanks for sharing your gorgeous craftiness.